All borrowers must be registered and must have a valid local or system patron card to borrow library materials. Patrons must fill out an application form to register for a new library card. By signing the application, the patron is indicating that they will be responsible for all materials signed out on their library card. Patron will receive the library’s circulation policy, the patron code of conduct, Library Patron Rights and Responsibilities and the Internet policy upon receiving their card. Identification with proof of address is required. A driver’s license or student ID is preferred, however, any other official ID or recent non-personal piece of mail may be acceptable. If appropriate identification is not available, a temporary card will be issued that expires in three weeks from date of application. A temporary card will allow the patron to borrow 2 items from the library’s collection. A note will be made on the patron’s account that ID is still required to fully activate card. Applicants under 18 years of age must have a parent or guardian give their consent on the application form before a new card can be issued. By signing the child’s application, the parent or guardian is indicating that they will be responsible for all materials signed out on the child’s library card. Please note that children may access and/or borrow any library resource with their library card and have the ability of requesting materials from other libraries in the Mid-Hudson Library System. All library cards expire after 3 years. In order to renew a library card, patrons must produce identification and must clear all outstanding fines and bills. If a patron loses his/her library card, he should notify the library as soon as possible and request a replacement. There is a $2.00 fee for a replacement card. All patrons, adult and juvenile, are expected to bring their library cards with them if they intend to check out items. An individual who repeatedly ignores this expectation may be denied the privilege of checking out materials until they present their card at the library. A three week loan period is given for books and audiobooks on CD. 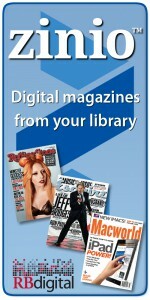 A one week loan period is given for current issues of periodicals, DVDs, and music CDs. Materials borrowed from other MHLS member libraries through the Kinderhook Memorial Library follow the circulation rules of the Kinderhook Memorial Library. Materials may be renewed if there is not a waiting list for the title. Interlibrary loans are due the date indicated by the lending library. Some interlibrary loans may not be renewable. The director may establish a different loan period for special collections, materials which are temporarily in great demand, such as for student projects, or materials added to the collection which are in a new format. There is no limit on the number of items a patron can borrow at one time. Overdue notices and bills relating to lost items will be sent by mail or e-mail in a timely manner. The purpose of overdue fines is not to punish borrowers; it is to encourage patrons to return items by the due date so they can be available to others. If materials are damaged so as to be judged by the library as being unsuitable for the collection, the patron must pay the replacement cost. This rule does not apply to DVDs or CDs that are damaged due to normal wear and tear. A notice of these charges will be sent to the borrower. It is the patron’s responsibility to request a receipt when paying for a lost item. The library may accept a new replacement copy of a lost item that belonged to the Kinderhook Memorial Library in lieu of payment; however, the library director must be consulted before such arrangement is made. If a lost item is found after having been paid for, the patron may request a refund providing it is within 30 days of the original payment and the patron provides a copy of the payment receipt. If a lost item is found after having provided the library with a replacement copy, the original item may be considered the patron’s property and no refund will be provided.